In the UK, we now eat more chicken than any other meat. Which means the production of chicken has become more and more industrialised to keep up with demand. 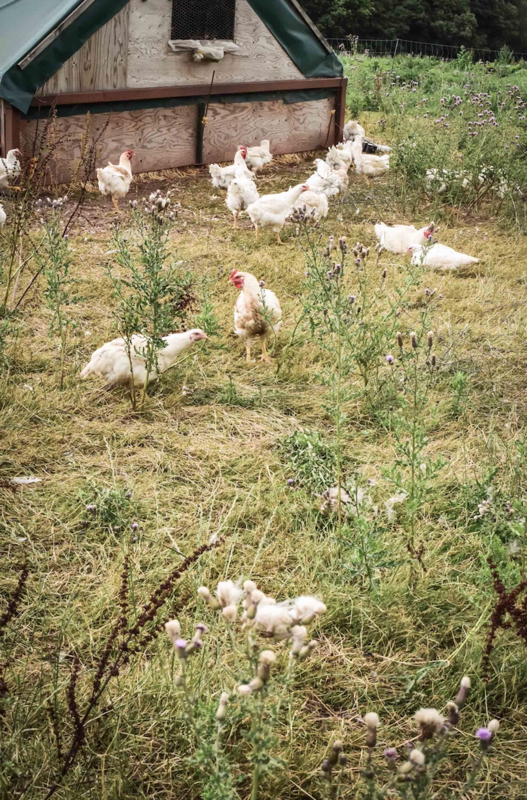 At Coombe Farm, the welfare of the chicken we sell is critical to us, and that means saying a very firm no thank you, not ever, to factory farmed birds. 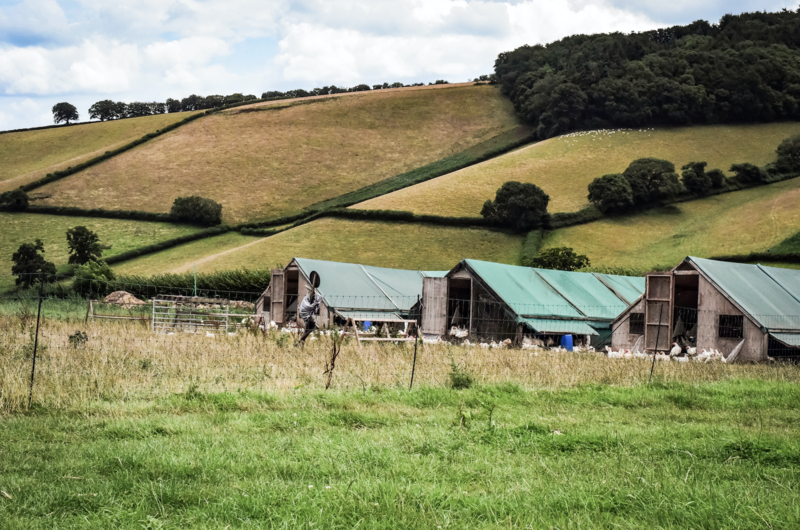 We work with a specialist poultry farm based nearby in the Blackdown Hills. They rear all of our poultry in a free-range, organic environment and to the highest welfare standards. That means the birds have the freedom to roam outdoors during the day, with the shelter and safety of houses at night and in bad weather. Roaming freely, scratching and foraging, chasing flies, taking dusts baths and basking in the sun are all natural behaviours. And being able to indulge natural behaviours is vital for happy, healthy chicken, ducks, geese and turkeys. 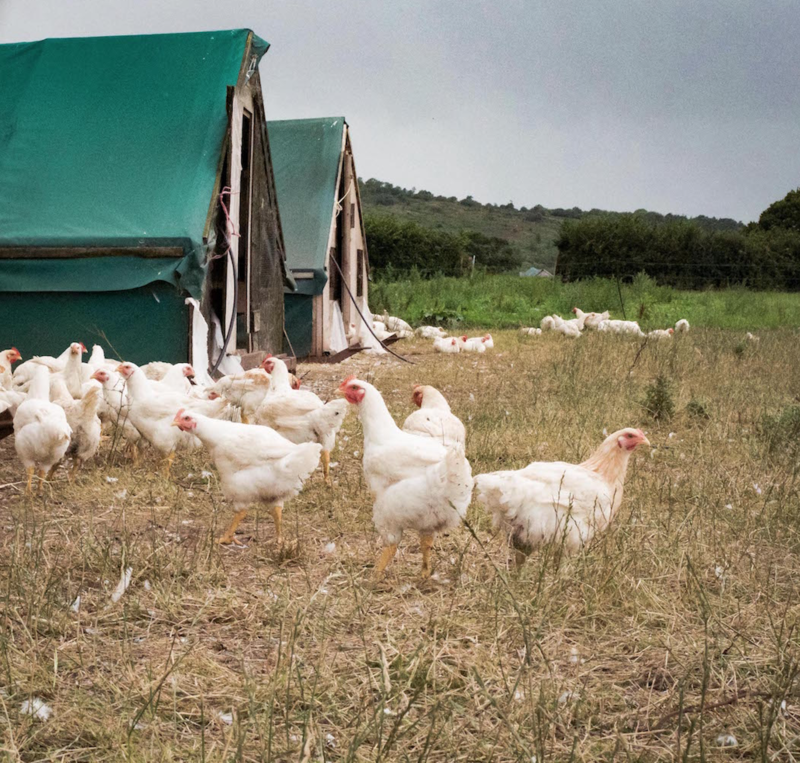 Soil Association rules are stringent about the number of birds that live together, so all of our poultry comes from low-density flocks and they range on paddocks that are frequently rested, allowing vegetation to recover and preventing build-up of pests. ORGANIC V'S FREE RANGE WHAT'S THE DIFFERENCE? 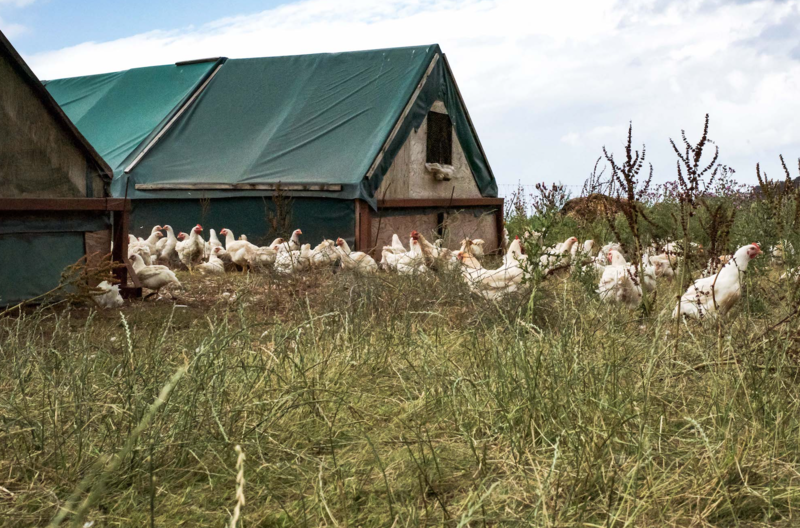 Often bundled together and misconceived to be much of a muchness, the terms organic and free range really are quite different in terms of growing chickens. We are big fans of Lizzie Rivera, journalist and owner of BIC-BIM. She details the truth behind the differences between the levels of certification perfectly in this article. But put simply organic means more space, lots of natural light, roaming free from a young age, and they eat organic grain. An organic chicken is more often than not a slow growing heritage breed meaning the welfare of the bird is excellent, as they grow at a natural rate, being the shape and weight that an old fashioned bird should be. You can discover our cuts of chicken and our whole roasting birds here.